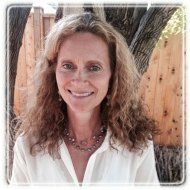 Moose Jaw Therapist: Susan Risula (Previously Fryklund) - Therapist S6H 3H4. Somatic Experiencing Psychobiological Approach To Understanding And Treating Trauma And Stress. Professional Counsellor and body-mind oriented Psychotherapist, BSW, MSW, RSW, SEP, Sole proprietor of Resolve/Renew Counselling and Consulting in Moose Jaw, Saskatchewan. In my practise I utilize a combination of body-mind oriented, cognitive, behavioural, and emotion focused therapeutic approaches in working with clients. I am certified in the field of trauma healing as a Somatic Experiencing Professional. (SE) is a body-mind approach for understanding and resolving trauma and relieving acute stress. As a way to support clients in their path towards healing, clients will learn about how their body namely their nervous system is affected by unresolved feelings, thoughts and life experiences. Clients are taught methods to reset their Autonomic Nervous System which helps in the processing of emotional and cognitive wounds. In a counselling session the client and I will spend a significant amount of time talking with one another sharing ideas and perspectives. A part of the work will involve me encouraging you to pay attention to those aspect of you that are beyond and beneath your words, namely your body, your senses, your feelings and images. My practise consists of adults, adolescents, marriage and family counselling. In my 30 plus years of clinical services I have worked in Mental Health & Addictions, Medical Social Work, Civilian Social Work with Military, Women's Safe House, Youth Centre, Cancer Agency. I am approved by some Employee Family Assistant Plans and some Extended Health Care Plans. A complimentary 30 consultation is available as well as a 20.00$ reduction on first counselling session. Consultations and personal sessions for SE students up to Advanced year. Small group consultations for Beginning and Intermediate students. Co-coordinater Somatic Experiencing Trainings in Saskatoon Sk, Canada.